When it comes to traveling, accommodation is definitely the most expensive things you’ll have to pay for, especially if you’re planning to stay long or moving from one place to another. Ever since I knew the existence of Couchsurfing (CS) and other useful sites such as HelpeX, I spent less (more likely none) on my accommodation expenses. I used CS mostly when i’m visiting a place for a short stay and HelpX for my longterm stay. The total cost of my accommodation expenses came out to be RM 136.00, which is around USD $35.14 only! Yes, for 85 days, that’s seems impossible! 😛 I could actually save more but considering i’m traveling with my travel buddy while in Jeju Island, I decided to stay at hostel with her for the 2 nights we were together. Couchsurfing helped me a lot interm of accommodation. Who knew traveling could be so easy if you rely on strangers’ kindness. Seoul – for 2 Nights – Stayed with a pretty University student. Cheonan for 2 Nights – Stayed with a young Korean couple. 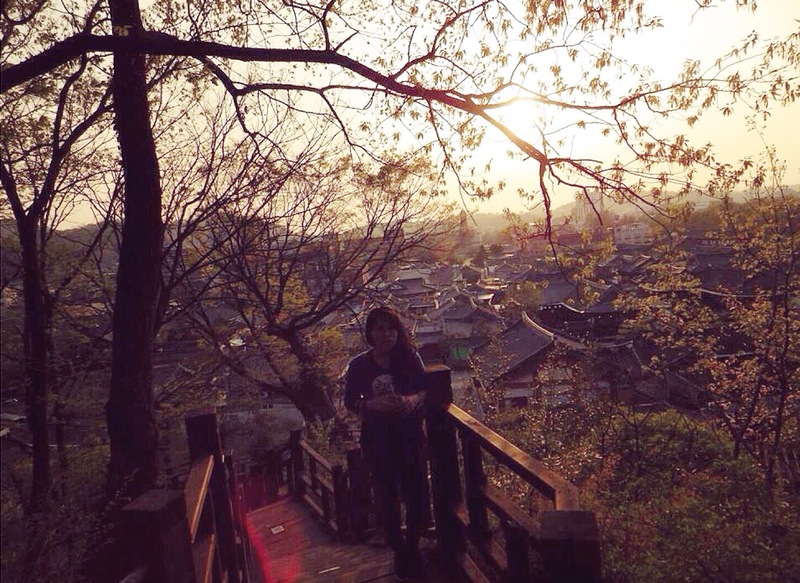 Jeonju for 2 Nights – Stayed with Seoulite working as Jeonju official. Gyengju for 2 Nights – Stayed with an Australian professor married to Korean girl. 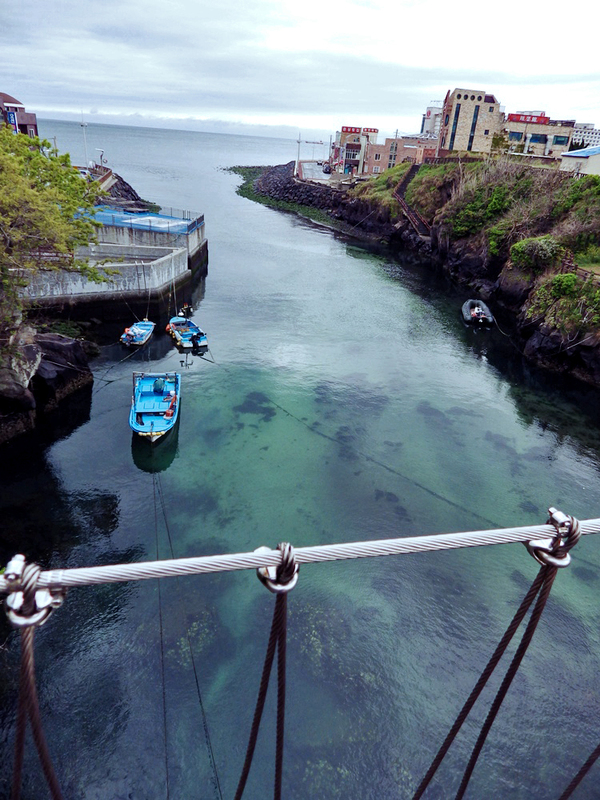 Jeju Island for 5 Nights – Stayed with an American English teacher at day & DJ at night. Seoul – Bridge Backpackers (http://www.bridgebackpackers.com/) – Knew about this place from CS. The owner, Greg Aussie guy married to korean girl offered me about the volunteering via message on CS. If you’re tired of using CS and wanted to stay longer in one place for free, you could do some volunteering at the guesthouse/hostel. For my South Korean trip, I choose to use HelpX (www.helpx.net/). HelpX is an online listing of host organic farms, non-organic farms, farmstays, homestays, ranches, lodges, B&Bs, backpackers hostels and even sailing boats who invite volunteer helpers to stay with them short-term (minimum 2-3 weeks) in exchange for food and accommodation. It’s the same concept with Workaway (https://www.workaway.info/). invite volunteer helpers to stay with them short-term or long-term in exchange accommodation (minimum 1 month stay). In the typical arrangement, the helper works an average of 3 hours per day and receives free accommodation. Here’s are other website that you can try for your free accommodations. 1) GlobalFreeLoaders (www.globalfreeloaders.com/) – Same concepts as CS but not famous. 2) Belodged (http://belodged.com/) – I never use but number of Korean use this. *Bare in mind that this trip was exactly 2 years ago (March 2014 – June 2014) so prices might have changed over the period of time. Some of the things that I tried might as well discontinued, unavailable or closed. My total cost of return tickets came out to be RM 816.78, which is around USD $211.05. Direct return flight from Malyasia; Kota Kinabalu International Airport (BKI) to South Korea; Incheon International Airport (ICN) usually cost not less than RM 1300.00. Therefore, flying via Manila saved me half of the flight ticket price. I flew to South Korea (Incheon International Airport) from Philippines (Manila Ninoy Aquino International Airport) via Airasia Zest (also known as Zest Airways). The return ticket only cost me RM 523.66, which is around USD $135.31. I booked the flight tickets 4 months ahead & bought it separately on different days. Considering i’m not staying in Manila, I need to pay another RM 178.83 (~USD $46.21) for my return flight from Malaysia, Kota Kinabalu International Airport (BKI) to Philippines, Manila Ninoy Aquino International Airport (MNL). My flight going back to KK from Manila only cost me RM 33.83 (~USD $8.74)! It’s cheaper than a bus ticket! I flew from Jeju Island (Jeju International Airport Jeju) to Busan (Gimhae Internationa Airport) via Jeju Air for only KRW 34,560.00 (~MYR 110.59). I bought the flight ticket few days before departure as I figured that flying to Busan is cheaper than taking the ferry. And after the Sewol incident (I was on the similar ferry, going to Jeju as well but from Mokpo, on the same day! ), it’s best to just take the flight. For cheap flight tickets, I usually check on http://www.skyscanner.com.my/ beforehand and book on the airlines website itself if I found a very good flight deals. Select the ‘Cheapest Month‘ on depart and return section if you’re not sure when to travel. Make sure to use ‘Incognito window‘ (private browsing mode) when searching for flight tickets as (most of us knew about this already) prices increased rapidly on flight that you search for often. Clear your cookies and cache before searching will help too. And oh, do subscribe to cheap airlines newsletter (such as Airasia or Cebu pasific) to be among of those the first to know about their ticket promotions! “Less than USD $1,400.00 for 85 days in South Korea?! No way!” For some people, that amount of money will only last them 1 or 2 weeks, depending on how many cities they want to visit or how they shop. Exactly 2 years ago, I took the longest leave from my work and went to South Korea. The main reason why I wanted to go there at first was actually to attend Gastech Exhibition. But things got carried away and I decided to stay there for about 3 months. My travel routes included Seoul (44 Days & 45 Nights), Cheonan (3 Days 2 Nights) Jeonju (2 Days & 2 Nights), Mokpo (1 Days & 1 Nights), Jeju Island (8 Days & 7 Nights), Busan (24 Days & 25 Nights) and Gyengju (3 Days & 2 Nights). Hope you found something useful here & if you’re traveling there soon, enjoy South Korea! You’ll love it there as much as I did & if you don’t, you’re doing it wrongly! Yeoksam Global Village Center will be hosting a K-pop Dance Class!! Come and have fun dancing to K-pop while learning the dances and choreography from a dance teacher. The classes will be held once a week on Fridays. This will be a fun opportunity to exercise and practice your dance moves to music by Exid, G-dragon and Taeyang, Girlsday, AOA, Beast, and Exo. To sign up, please email or call the number below. To sign up for the class, please email yeoksam@sba.seoul.kr with your name, nationality and mobile phone number or call us at 02-3453-9038~9. 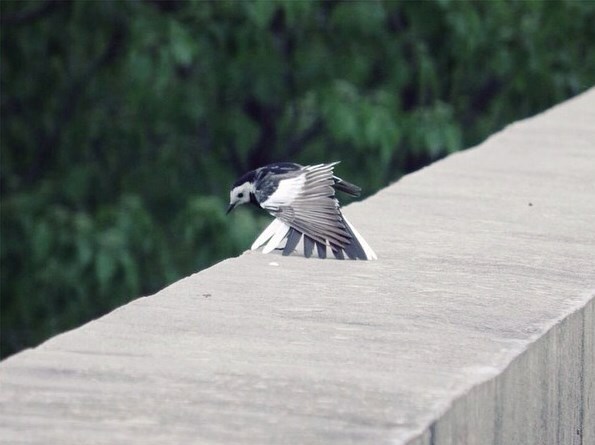 까치 (Korean Magpie), bird that said to brings good news in part of Asia. You are currently browsing the South Korea category at Wanderlust Overloaded.